When we began to plan the One Caucasus program, we couldn't even imagine the fantastic partners we would find to work with along the way.. The local government of Marneuli proved to be the best partner for "making the impossible possible". So this year we decided to go one step further. 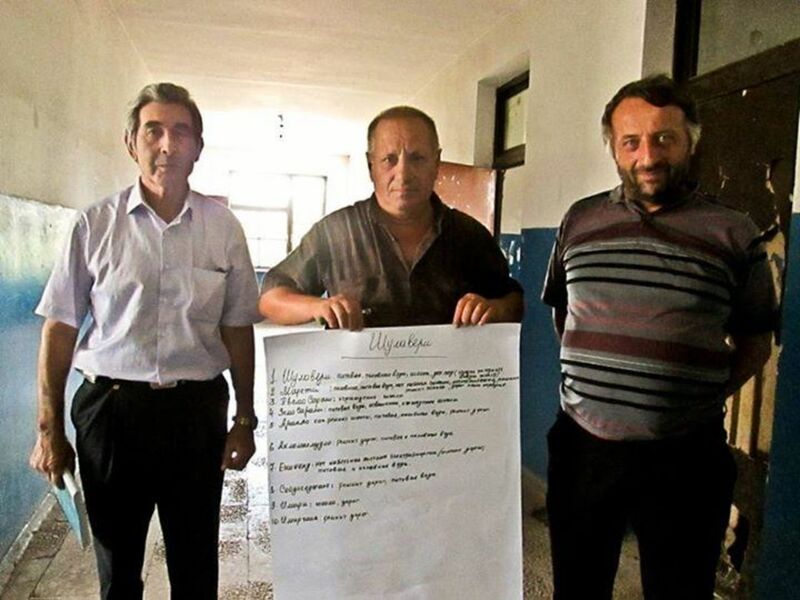 What if one of the Caucasus rural regions could begin to plan and implement a participatory budget within their region? This would be the first in Caucasus and one of the first in the whole post-soviet area. This progressive democratic tool gives local communities the power to have direct impact on local government budget. First - with the One Caucasus NGO and Marneuli Municipality - we organized workshops for representatives of local government to plan the process. Next, during 3 sub-regional workshops in Marneuli in end of July, 118 participants from 43 villages took part by voicing their opinions. 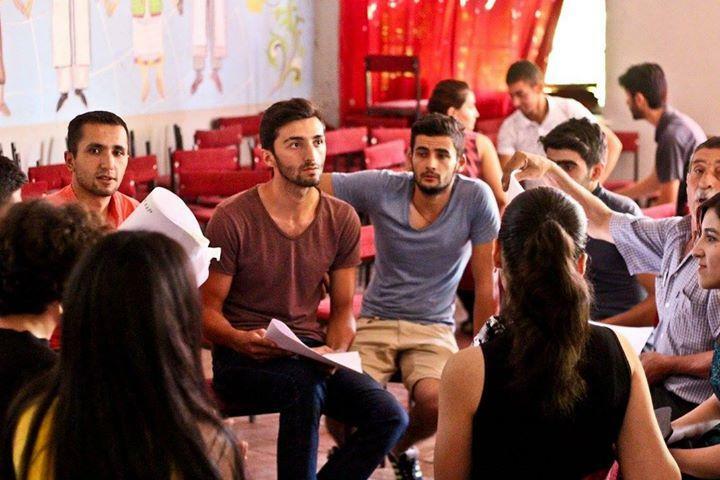 They learnt about how the municipality budget works and were introduced to the participatory budget of Marneuli. Participants worked in groups to name the key problems of their villages and to plan the next steps in the framework of participatory budget. In August, during the OPen Caucasus Open Citizen Council me Marneuli Region meeting, the residents of Marneuli will have the opportunity to submit their projects to the pParticipatory bBudget of Marneuli,.Together they will decide on how 1 500 000 Lari (minimum) will be spent for local projects.From this sum - 500 000 Lari will be secured for micro-projects (up to 10 000 Lari). Altogether, the participatory budget will be more than 5% of whole Marneuli Mmunicipality budget. 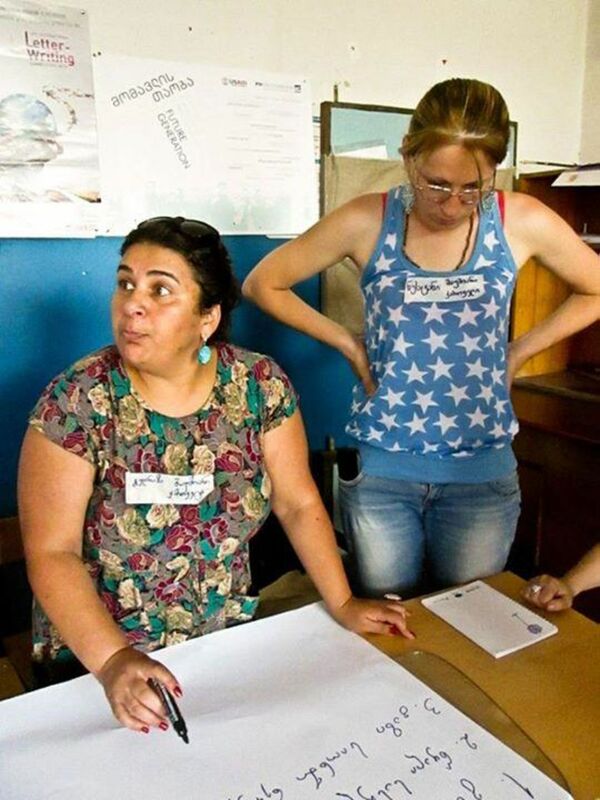 We hope this project will continue to grow within the next few years in Marneuli - just like the One Caucasus program. Through our successes (and mistakes!) we also hope to inspire other regions in Georgia, Armenia & Azerbaijan to join in the participatory way of planning & budgeting. Project “Local Activation through Participatory Budget of Marneuli" (KD008/WD/2015) is co-funded by ‘Support for Democracy’ and financed within the framework of the ‘Polish Development Cooperation Programme’ of the Ministry of Foreign Affairs of the Republic of Poland.